With a Scribd Subscription you can access an unlimited number of bestselling and award-winning books and audiobooks, plus articles from leading magazines, newspapers, even sheet music. Stay informed, explore new worlds, and become your best self with a library of content that fits right in your pocket. 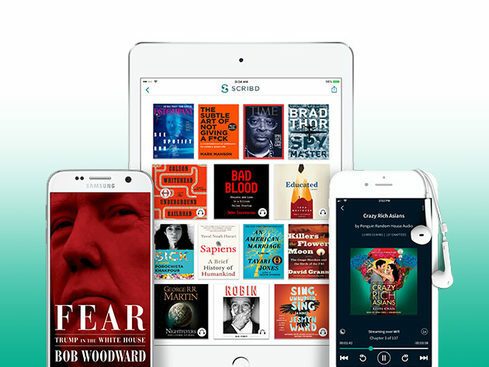 For less than the price of a paperback each month, Scribd lets you access an unlimited number of bestselling and award-winning books and audiobooks, plus articles from leading magazines, newspapers, even sheet music. Whether you’re riding the subway or relaxing at home, Scribd lets you enjoy your content anytime and anywhere via web browser or mobile app. Home to 750,000+ subscribers & the only subscription service with books and audiobooks from all of the global “BIG 5” publishers! Note: Unfortunately, some ebook readers can’t connect to Scribd on the web or run the Scribd app, such as the Nook Simple Touch, Kobo, and most versions of the Kindle besides the Kindle Fire. 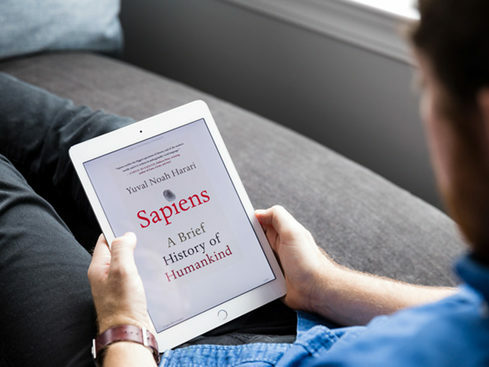 Generally speaking, you won’t be able to use Scribd to its grand potential with these devices compared to the Kindle Fire, Nook HD, and the Kobo Arc line. For more information on device compatibility and simultaneous usage/downloads, click here. Along with its CEO’s achievements, TIME named Scribd one of the ’10 Start-Ups that Will Change your Life’. After which it became finalist for the San Francisco Business Times’ 2010 Tech and Innovation Entrepreneur Awards, was announced as a ‘Technology Pioneer’ in 2011 by the World Economic Forum, and made the top ten most innovative companies list on Fast Company. It’s also the longest running independent Y Combinator alum, followed by Dropbox and Reddit.